Home » Education » Is Google’s New Applied Digital Skills Free Course Worth A Look? Google’s Applied Digital Skills looks like THE STUFF! And the fact that all this content is available for free is quite amazing! 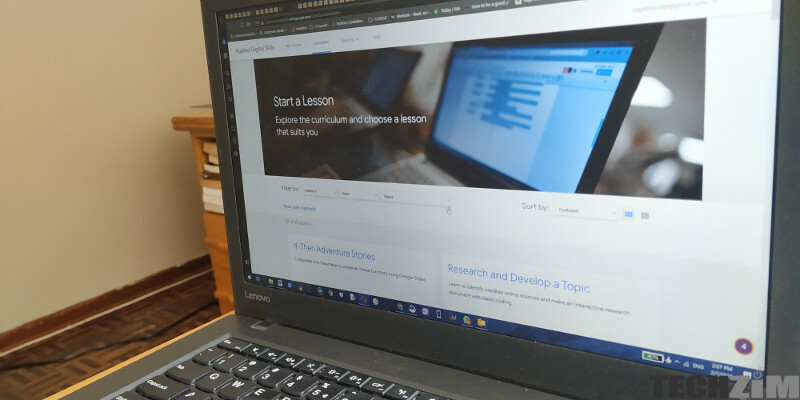 The fact that the lessons offered on the portal are suitable for all age groups, from adults to children as young as Primary School students. If you’ve taken Google’s Digital Marketing course then you’ll know they have some really valuable content in these courses. What lessons are on offer? These are not all of them but they are certainly the ones that piqued my interest. A course like the one on effective communication is something that your entire company can take and being able to do so from one source without compromising your budget sounds like a good idea to me. Now I haven’t personally watched any of these just yet but I think as a free tool, it might be a good place to start. It’s clear that from these courses your kids could learn a number of valuable skills such as coding, staying safe on the internet, spreadsheets and when all is said done they can still take the adult courses and tackle the more complex content if your kid has the taste for it. Anyway more free learning material is always welcome and having some of these skills will certainly give you a competitive edge, either in the classroom or office.